Lady Quince has a rebel streak a mile wide but has managed to direct it for good by playing a bit of a Robin Hood. However, when the Marquess of Cairn comes back home after his grandfather's death and is charged with finding out who the thief is, Quince has a worthy adversary. Years ago, Alasdair Marquess of Cairn was courting Quince's sister but he was always amused by the younger sister. Now all grown up, wee Quince is not only amusing him but stirring up his desire. He needs to find the thief and the new highwayman so he can devote more time to the hoyden while Quince needs to decide if her attraction to Alasdair is too dangerous for her heart and her life. 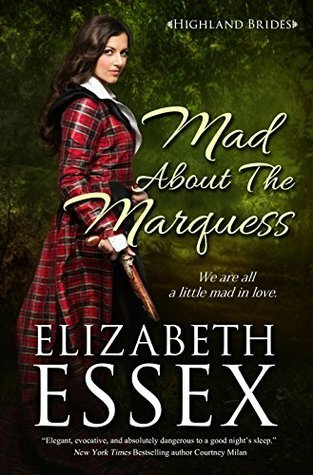 I was highly anticipating this new release by Ms. Essex as her "Scandal to Remember" was my favorite book read in 2015. While that one had a nice balance of adventure and character interaction, this one seemed to be mostly concerned with a character driven plot, specifically, the heroine. Quince is the star of the show and who leads us through the vast majority of the story. Seeing so many of her fellow Scottish being turned off the land in favor of sheep, has her pocketing trinkets left forgotten by the upper class and turning over the profits to a local church to help support them. Her compulsion to steal, she admits that it has more to do with thrill seeking than altruism, is the nucleus of the plot. Now, that part about stealing from rich to give to poor makes her a fun character to read about but as I mentioned, it's clearly stated by Quince, more than once, that even if there weren't poor, she'd feel the need to steal. This along with her reckless, borderline TSTL, attitude made her not so much fun to read. Others may not mind her personality traits but I was never truly comfortable with her and not liking the heroine definitely colored how I felt about the story overall. Our hero, Alasdair (Quince calls him Straithcairn, his old title, for most of the story but for simplicity, I'll stick with Alasdair) was a great complementary component to Quince. He wasn't bowled over by her and matched her word play but his character overall, was overshadowed. As this is mostly Quince's story, we miss more povs by Alasdair and even though some of his backstory is alluded to throughout the story and supposed to be dramatic, the character never felt like he reached his full potential. He is lead about too much by Quince to be the domineering hero I usually gravitate towards in romance. The writing and flow of the story is a little different, the scenes seemed to stretch out longer. The first 20% could almost be called one scene on its own. They mostly consist of Quince and Alasdair verbally sparring with one another, not so much hostile combative as rousing vying. I like word play but the scenes were so long and so filled with word play, that it out played itself. I found myself growing annoyed with the heroine and wanting the hero to give up on her, especially when she decides out of nowhere to step up her criminal activities in a harebrained scheme that seemed pretty pointless. As the reader, I was often exasperated with the heroine, which left little room for me to fully know the hero and engross myself in their romance. The world play mostly stands in substitute for bedroom scenes, there are a few making out scenes but even after our couple is married, you're in for a wait for the big payoff. There was a lot of breast talk and how the hero liked what the heroine had to offer, which got a bit repetitive. The heroine's mother and sister make small appearances and there's a small villain role that felt forced in. Other than that, it's pretty much our couple trying to outwit and talk one another. 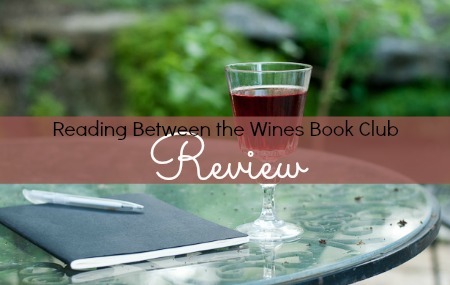 I'm typically a hero-centric reader and the heroine's hubris was a bit of a turnoff but readers who like somewhat larcenous and sassy heroines may not have the same problems I did.